Can you believe how cold it's been this year? Just recently, the country experienced a day in which all 50 states had a region with temperatures at or below 32 degrees. And that includes Hawaii! So no matter where you live, you're probably feeling chilly! To make matters worse, cold weather can really affect your skin and appearance. Fortunately, there are steps you can take to minimize weather's effects on your skin and hair. Cold air and wind outside and harsh heating inside sap your skin of moisture, which can make it look dull and lifeless. Your skin cells don't turn over as quickly when they're dehydrated, so you end up with old, flaky cells instead of fresh, light-reflecting new ones. 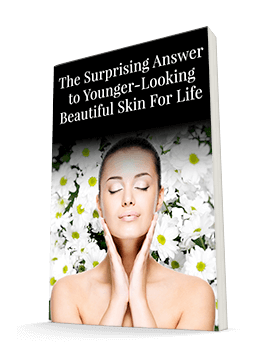 So it's vital you keep your skin hydrated from the inside and the outside to help encourage turnover. Make sure you're drinking plenty of water, and add omega-3 fatty acids to your diet. Food sources of omega-3s include salmon and walnuts, but you can also take a supplement such as Complete Daily Oils to boost your intake. From the outside, use hydrating natural lotions, oils, or creams to lock in moisture, such as Systéme 41's Night Treatment. It's best to moisturize immediately after you shower or bathe, keeping in mind that very hot water can also dry your skin. Keep the water lukewarm and the time you spend in it short - four to five minutes is best. While you're showering, use one of those minutes to exfoliate. This will help remove that buildup of dead skin cells, stimulate local circulation, and restore your natural glow. Take extra care of your face, which is often one of the most exposed areas in the winter. Treat it gently, but do exfoliate using a product like Systéme 41's Rejuvenating Masque. Consider switching from an astringent to a toner, which is less drying. Your lips often suffer the most, so protect them with a moisturizing lipstick or balm whenever you go outside. Your wardrobe matters too! Heavy, rough fabric such as wool may keep you warm, but it can irritate your skin. Keep another layer, like cotton, in between. Don't forget your gloves either! They'll keep your hands and your cuticles safe from the cold outside and the extreme temperature shift when you come inside. Finally, keep moisture in your environment. Try a humidifier in a room you frequent. Plants or pans of water below or on top of radiators will also help add humidity to the dry air, keeping your skin more able to defend itself from the season's challenges. Winter can be a harsh season, but it can also bring a lot of fun. By following these tips, you'll help ensure your skin is ready for all the memorable moments that may come your way!